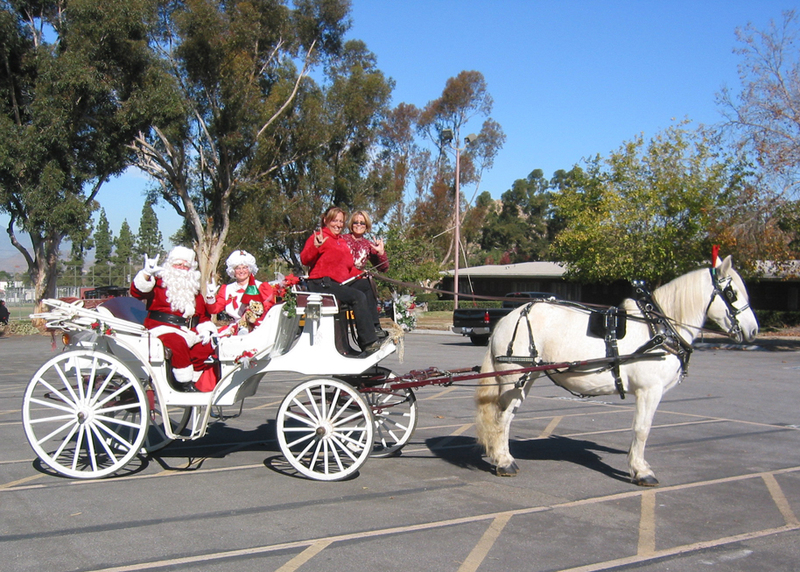 We are available for hire for YOUR private Holiday Parties, neighborhood block parties and company parties for the 2016 Holiday Season. 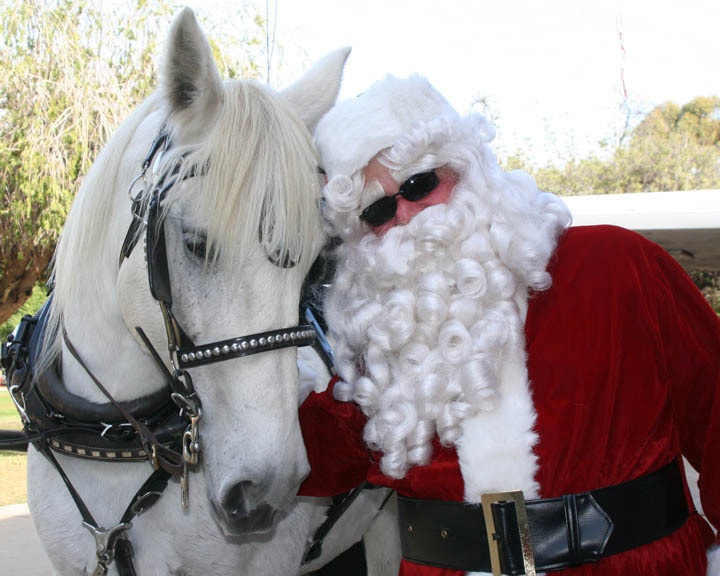 You can reserve our whole carriage for a private ride for you, your family or your company. Let us know where you need us so we may give you a quote. Where? Let us know where YOU need us. 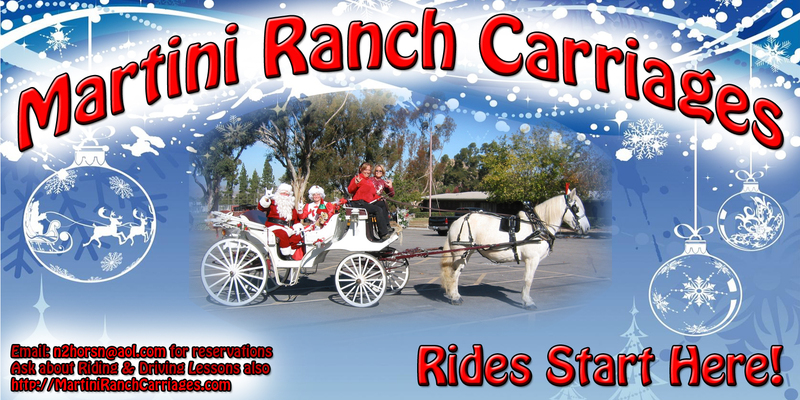 How to reserve our carriage: Email n2horsn@aol.com or text 951.809.7669 or call 951.809.7669. Due to the high volume of calls and the late hours we could return your calls, texting and email are the best ways to contact us. How many people can fit in our carriage? 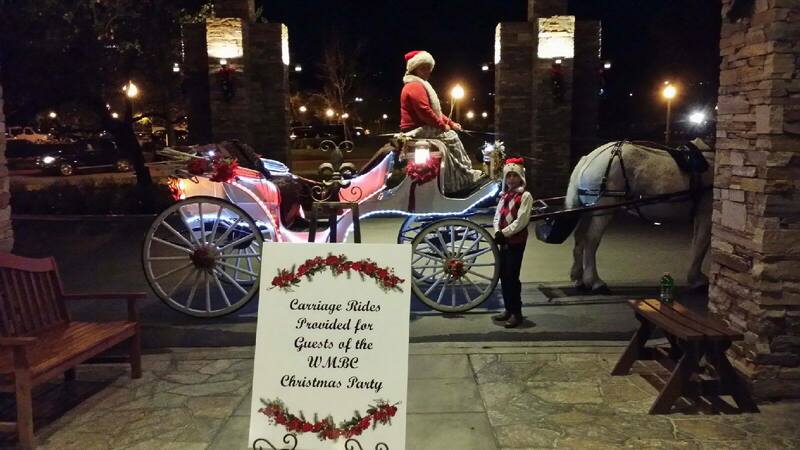 4 to 6 adults with children on laps… we have two 43″ seats for passengers. Prices? Send all the details of your event for a quote. Contact n2horsn@aol.com or text/call 951.809.7669. We have blankets! It gets cold but we are prepared. 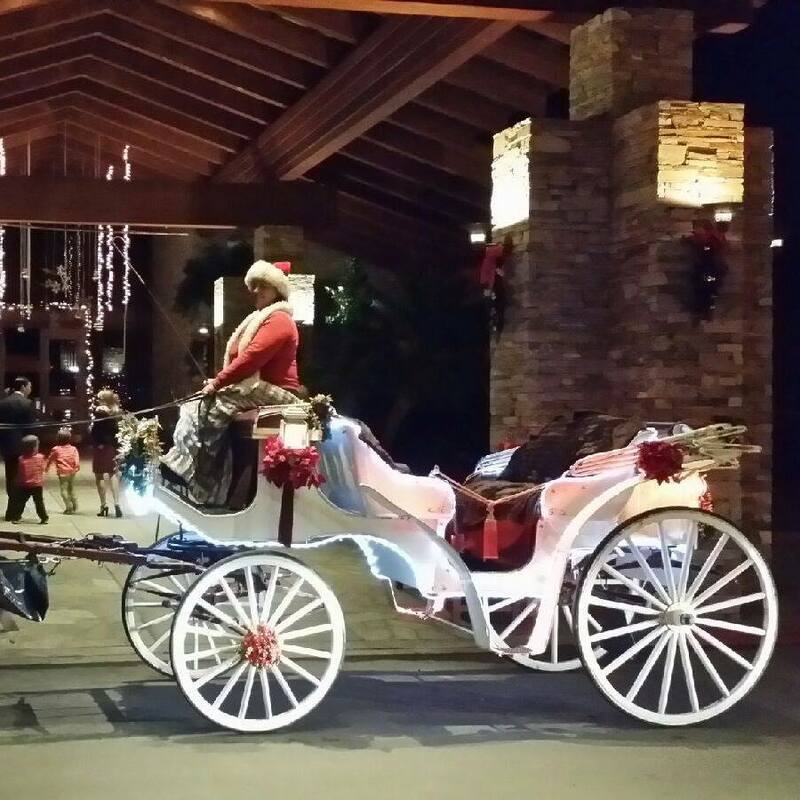 You will ride in comfort under our warm blankets while you sing Christmas carols and take in the scenery. What if it is raining? We will only drive in the rain if we are prebooked. We have a roof that can be put up on our carriage and our passengers will stay dry.